Sidharth Malhotra and Jacqueline Fernandez are on a promotional spree for their upcoming film, A Gentleman. The two were photographed by the paparazzi at a film studio in Mumbai on August 8, 2017. Jacqueline and Sidharth showed off some great chemistry as they posed together for the cameras. 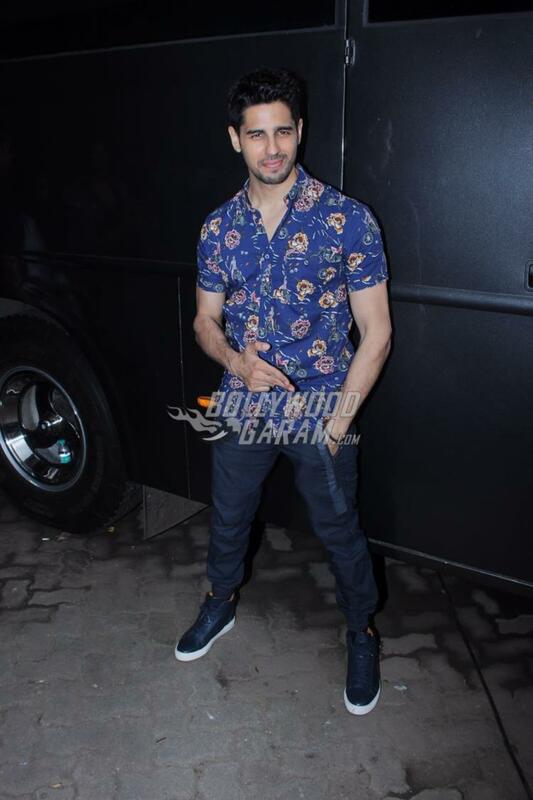 The Housefull 3 actress looked gorgeous in a green outfit with a denim jacket while Sidharth was seen in a blue printed shirt and a pair of denims. The makers of A Gentleman have in recent times unveiled a few songs which are being loved by the listeners. The song Chandralekha is a one of the peppy tracks from the film and has shown the Sri Lankan beauty show off some of her cool pole dance moves. The upcoming film is directed by Raj & D.K. and produced by Fox Star Studios. Reports say that the film is a sequel to the 2014 film Bang Bang which starred Hrithik Roshan and Katrina Kaif. Previous articleHave Kajol and Karan Johar forgotten their differences?